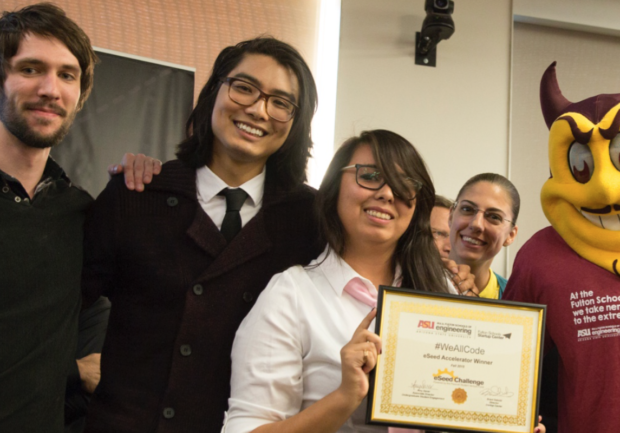 The ASU Venture Devils program supports student, faculty and community entrepreneurs who are turning their ideas into reality. Venture Devils provides access to funding opportunities, mentoring from experienced entrepreneurs and venture development workspaces. More than $1.3 million in funding is on the table to help you with your venture. 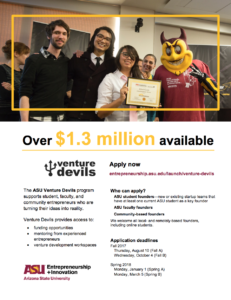 Apply for Venture Devils today! 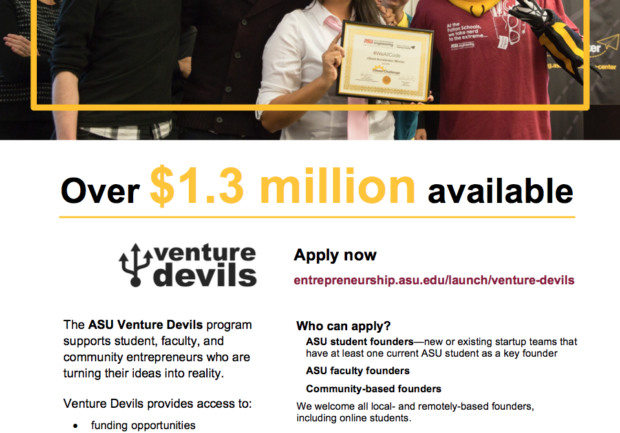 ASU faculty founders are encouraged to apply. 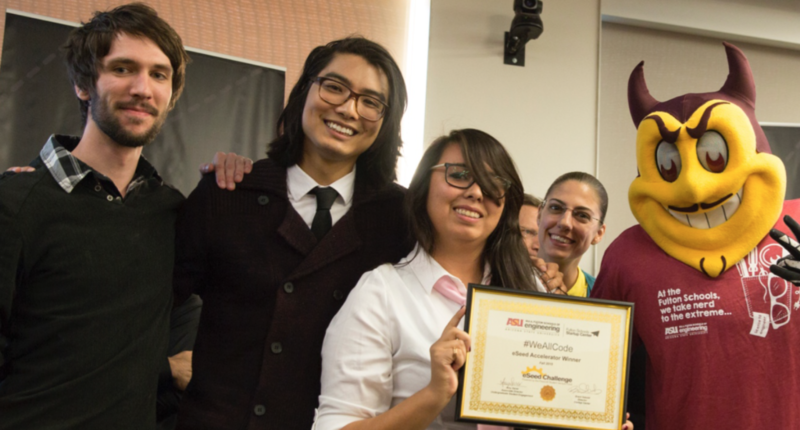 New or existing startup teams that have at least one current ASU student (on-campus or online) as a key founder can also apply for funding, so tell your students about this exciting opportunity.